A view of Eta Carinae by NASA's Hubble Space Telescope in 2000. (R) What the star could look like in 2032, when it overshadows its nebula. 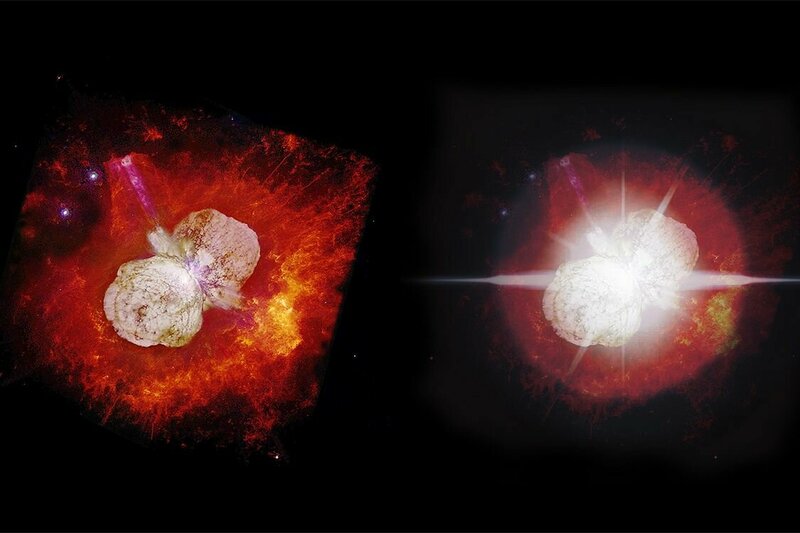 A team of 17 researchers led by Brazilian astronomer Augusto Damineli, with input from Université de Montréal’s Anthony Moffatt, believe that the increasing brightness of Eta Carinae is not intrinsic to the star itself, as is commonly believed. In fact, it is likely caused by the dissipation of a dust cloud positioned exactly in front of it as seen from the Earth.